I checked in at midnight or shortly before and the clerk that was working took forever to answer the phone so I could come inside. The main door closest to McDonald's is broke. Also the shower head in my room was spraying all over the ground. Check in was great, friendly staff. But heat in pool and hot tub were not working, was one of the reasons we choose to stay there. Where to find Albuquerque hotels near an airport? How can I find hotels in different Albuquerque neighborhoods? Where can I find hotels in Albuquerque that are near tourist attractions? If you're planning to stay in the Northern New Mexico region and you want to book accommodation in Albuquerque, you have a wide array to choose from. Approximately 106 hotels and apartments can be found within a 0.1-kilometre (0.06-mile) radius from Albuquerque's heart. Savvy travelers who appreciate the many benefits of booking a hotel in the heart of town should check out the Hotel Parq Central and Downtown Historic Bed and Breakfast, which are located within a 1-kilometre (0.6-mile) radius of Albuquerque's downtown. With 6 places to stay, Rio Rancho is the neighborhood with the biggest range of Albuquerque accommodations. Rio Rancho is around 18 kilometres (11 miles) from downtown. 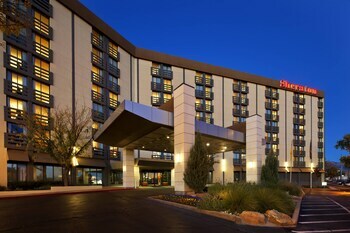 Rio Rancho hotels are the Hilton Garden Inn Albuquerque North/Rio Rancho and Comfort Inn Rio Rancho. Places to stay in Bernalillo which is around 25 kilometres (16 miles) away include Holiday Inn Express Bernalillo and Days Inn Bernalillo. 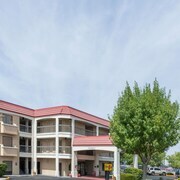 Hotels in La Cuesta include Americas Best Value Inn and Super 8 Albuquerque East. La Cuesta is 13 kilometres (8 miles) away. The Embassy Suites Albuquerque - Hotel & Spa and the Hotel Andaluz are very near ABQ BioPark Zoo. 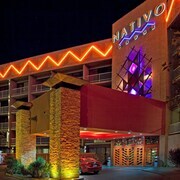 The Casas de Suenos Old Town Country Inn and the Hyatt Regency Albuquerque are close to Indian Pueblo Cultural Center. The National Hispanic Cultural Center, another popular Albuquerque attraction, is not far from the Mauger Estate B&B and also the Homewood Suites by Hilton Albuquerque Airport. Accommodation options close to the New Mexico Museum of Natural History and Science include the Hotel Albuquerque at Old Town and also the Holiday Inn Express & Suites Historic. Thrifty travelers can breathe easy. Albuquerque features plenty of low-cost hotel establishments. 13 kilometres (8 miles) from Albuquerque's downtown area you'll find the Comfort Inn And Suites North. The Clubhouse Inn Albuquerque is just 3 kilometres (2 miles) away. 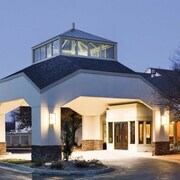 Alternative lower-cost room options are the Candlewood Suites Albuquerque and the La Quinta Inn Albuquerque Northeast. The Sandia Resort And Casino is situated 15 kilometres (9 miles) from the heart of Albuquerque. Or, alternatively, the Isleta Resort and Casino is located 16 kilometres (10 miles) away. The Residence Inn by Marriott Albuquerque Airport and the Staybridge Suites North - Albuquerque are two more Expedia-listed Expedia-listed accommodation options in Albuquerque. The broader Northern New Mexico area is certainly worth discovering too. Northern New Mexico offers mountains. Commonly visited Northern New Mexico visitor draws are traditional villages. Locals and visitors alike in this section of United States of America can enjoy snowboarding. Looking for more to do? Why not spend some time visiting Santa Fe Opera and New Mexico State Capitol, which you'll find in Santa Fe, 95 kilometres (58 miles) to the northeast of Albuquerque. The Rosewood Inn of the Anasazi and Antigua Inn are some of the hotel options in Santa Fe. 95 kilometres (57 miles) to the northeast of Albuquerque, you'll find Downtown Santa Fe, home to the Fairmont Heritage Place, El Corazon de Santa Fe and La Posada de Santa Fe, a Tribute Portfolio Resort & Spa. Whether you're just passing through or staying in Downtown Santa Fe, set aside some time to check out the Museum of Contemporary Native Arts and Santa Fe Railyard. Albuquerque International Sunport Airport is a nearby airport for flying into and leaving Albuquerque. It is 4 kilometres (3 miles) away. 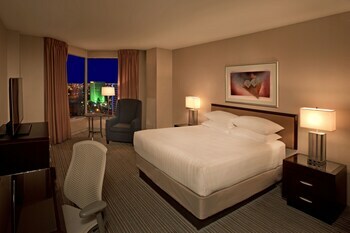 If you choose to stay nearby, try the Staybridge Suites Albuquerque - Airport or Sheraton Albuquerque Airport Hotel. What are the most popular Albuquerque hotels? Are there hotels in other cities near Albuquerque? What other types of accommodations are available in Albuquerque? Explore Albuquerque with Expedia.ca’s Travel Guides to find the best flights, cars, holiday packages and more!